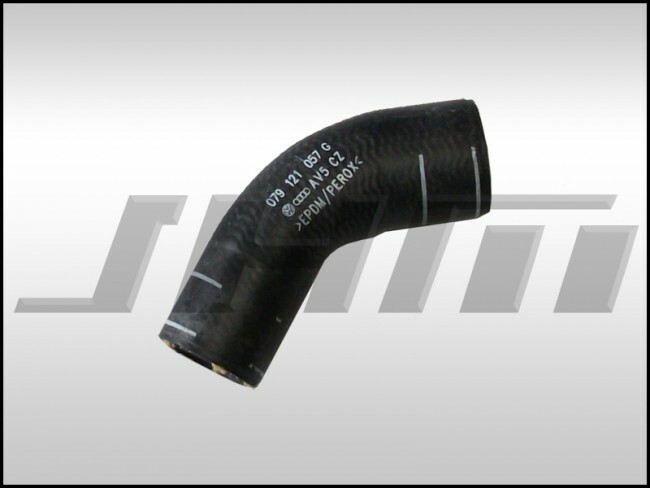 This is a high quality OEM Water Pump bypass hose for B6-B7 S4s. This is the small hose on the drivers side that connects to the water pump and the pipe that comes down from the top of the motor. OEM pn 079 121 057 G.